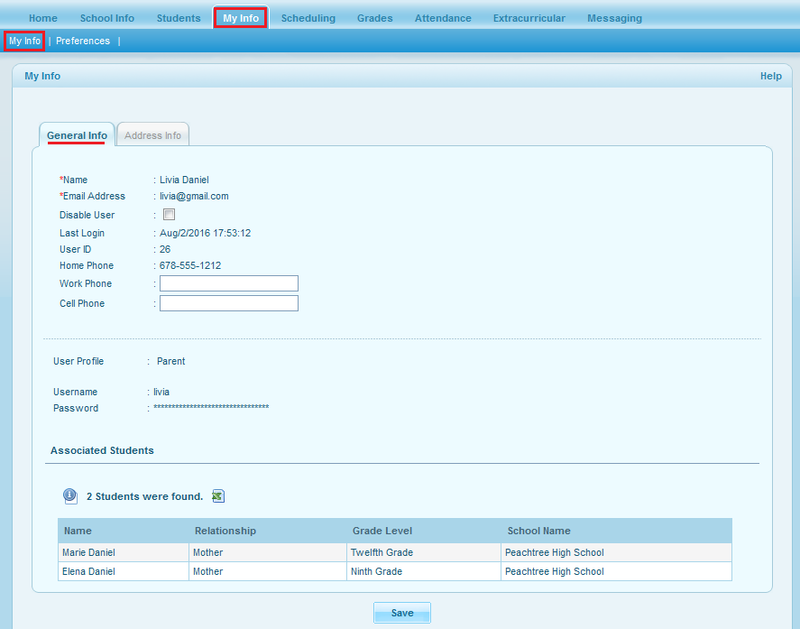 Administrator captures all the information of the parent associated with a student when a student is added in the school and the parent can view their information from their portal access under the feature My Info. It displays the parent's General Info and Address Info. Click on each tab to view the respective information. General Info includes the demographic information, portal access details and the associated students. Address Info displays the parent's address details.